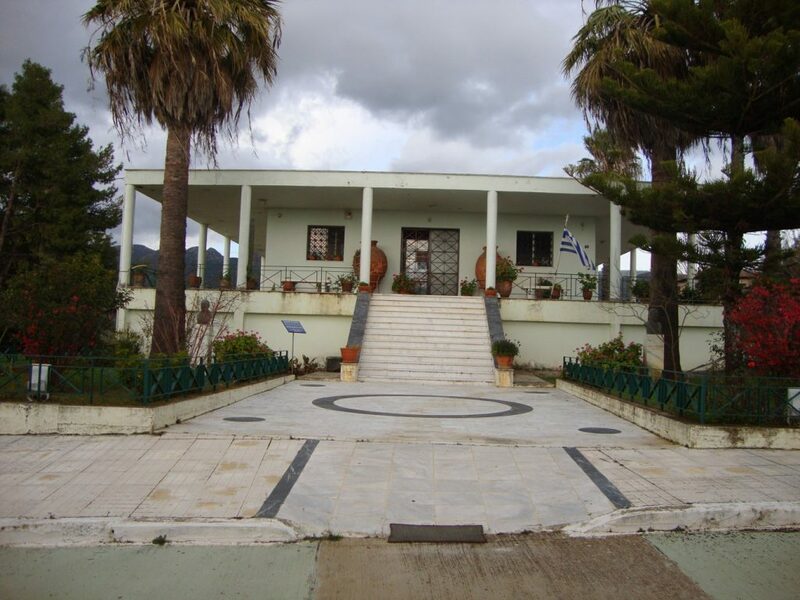 The Archaeological Museum of Chora was founded in 1969, it is located in Chora of Messinia and has three rooms, with objects mainly from the Mycenaean period. There are about four thousand archaeological findings, most of which come from the excavations at the palace of Nestor, king of Pylos, which was built in 12th-13th century BC. • Gold jewelry and gold cups from the vaulted tombs of Peristeria of Trifylia. They are dated to the 16th-15th century BC. • Two impressive pithamphorae, with decoration of “palace style”, from the tomb in Routsi (15th century BC). • Murals from the Palace of Nestor with battle scenes and other subjects. • Casts from clay plates with Linear B writing, whose originals are at the National Archaeological Museum. • A post-Mycenaean ritual tripod vessel (rhyton) with three animal heads (bull and deer) – unique in its kind. 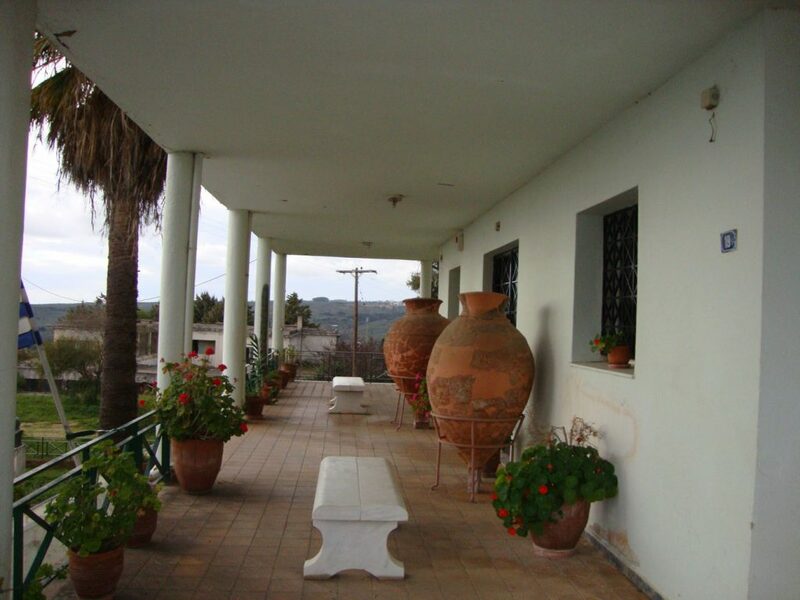 It derives from the cemetery in Volimidia and it dates back to 14th-13th century BC. • A Messinian double cup from the graves of Volimidia. • A clay griddle base from the Palace of Nestor. Visitors are impressed by the large number of gold objects (cups and jewelery) that indicate the glamour and the considerable wealth of the kingdom. 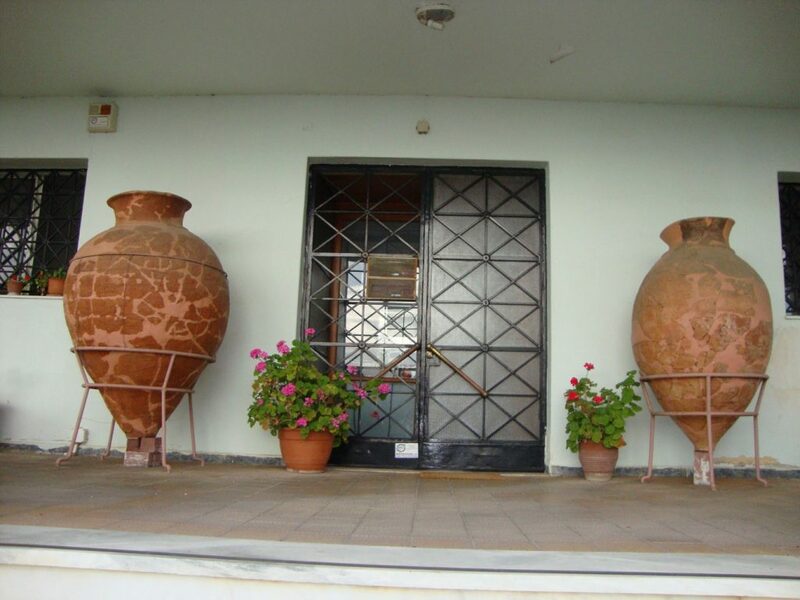 The Archaeological Museum of Chora is open daily, except for Mondays, from 8:30 to 15:00.